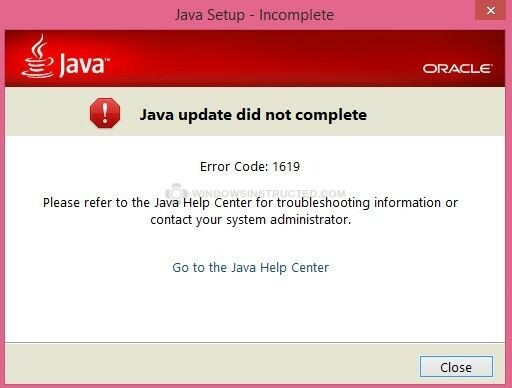 Having problems removing Java, installing it, or Java Simply does not work, on your machine? Prior to getting started please Create a restore point!! Run MS Fit-It to fix issues with install-uninstall, also download the everything tool to find all Java related files. Once you have download and installed, either the 64bit or 32bit (x86) Version. Right Click on the VoidTools application and Run As Administrator. Type Java into the Everything Search Window. Now Click on Edit Then Select all. Now Right Click on the highlighted area. Now open a notepad by hitting the start button and typing notepad.exe into the search box. Once notepad is open, right click and select paste. Now click on File then save as. Name the notepad Fixlist and save it to your desktop. You will now need to download and save FRST 64bit or FRST 32 bit to your Desktop. To clean up the Java files found with Everything tool. Right Click on either FRST64 or FRST32 and Run as Administrator. Now Click on the Fix button and allow the program to complete. Note: A reboot may be needed. Clean out your temperary Java files with TFC.exe by Oldtimer. Once its finished it should automatically reboot your machine, if it doesn’t, manually reboot to ensure a complete clean. Installing and using Revo Uninstaller to Remove Java registry keys. Now lets DOWNLOAD Revo Uninstaller Portable (no install). Unzip the file to your desktop. Right Click on Revo Uninstaller.exe and Run as Administrator. Once the program has opened. Right Click on Java and Select Open Registry Key. Installing and using the Windows Installer Clean Up Tool, to remove Java remnants. Select anything you see Java related then select the Remove Button. Installing and running the Windows All In One Tool, to repair any system malfunctions, that could corrupt Java. Now lets Run a Repair with the Windows Repair (All In One). Once you have installed the program select the repairs tab. Now please run the tool, with the items ticked in the shot below. Then Click on the start repairs tab. Note: It is important, that you close all other programs, while this tool is running!!! After the tool has completed, your machine should reboot. Triple check for any Java file or regsitry remnants with JavaRa. Installing a fresh copy of Java, using the official site or the offline installer. Please visit The Official Java Site site. Or download the offline installer for Windows. Changing system settings that may be wrong for correct operation of Java. Once you have installed Java lets change a setting, prior to testing the program. Copy and paste the words in Bold. into their respective area’s. Now hit Ok, until you can not anymore! A final reboot of your machine is needed at this point. After the reboot Test Java.